One Day in the Life of Ivan Denisovich (Оди́н день Ива́на Дени́совича or Odin den’ Ivana Denisovich) is a novel written by Aleksandyr Sohlzenitsyn , first published in November 1962. The story is set in a Soviet labor camp in the 1950s and describes a single day of an ordinary prisoner, Ivan Denisovich Shukhov. Written semi-autobiographically after Solzhenitsyn’s own 8 year imprisonment, Ivan Denisovich Shukhov is an innocent unjustly sentenced for supposed political dissidence . The novel follows the character through a simple day. 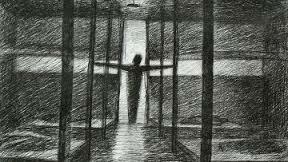 This day begins with Shukhov waking up sick and for waking late, he fears he will be placed into solitary confinement. However, he is simply forced to clean the guardhouse a relatively minor punishment. When Shukhov is finally able to leave the guardhouse, he goes to the dispensary to report his illness. Since it is late in the morning by this time, the orderly is unable to exempt any more workers, and Shukhov must work. Shukov manages to gain an extra piece of bread at breakfast time which he sews into his mattress before heading out to work. He takes pride in his work, laying bricks as perfectly as possible, hiding his mortar trowel during the break time so no other prisoners could take it from him. During the freezing work he finds a piece of metal and conceals it in his mitten for later, to create a knife. At the end of the day, Shukhov is able to provide a few special services for Tsezar (Caesar), an intellectual who is able to do office work instead of manual labor. Shukhov is able to get a small share of Tsezar’s dinner ration and packages by standing in lines for him. Shukhov’s day ends up being productive, even “almost happy”: “Shukhov goes to sleep fully content. He’d had many strokes of luck that day.” (p. 139). The novel closes with the observation that this was but one of 3653 days of Shukov’s sentence. The book’s publication was remarkable as it was the first published account of Stalinist repression. Its motifs are powerful – the prisoners are assigned numbers for easy identification and in an effort to dehumanize them, the conditions are sub zero, prisoners are encouraged to report each other for reward. 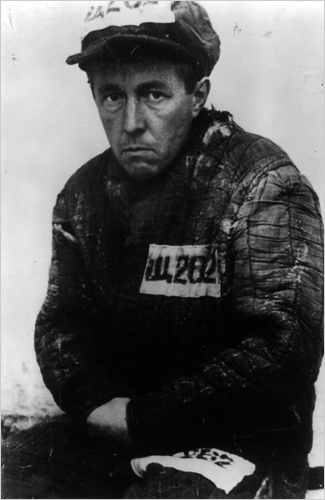 Despite this, Solzhenitsyn shows that a surprising loyalty exists among the work gang members, a warmth and camraderie despite individual selfishnesses. Shukhov in particular shows that the way to maintain human dignity is not through outward rebellion but through developing a personal belief system. At meal time, no matter how hungry he is, he insists on removing his cap before eating. No matter how ravenous he becomes, he never stoops to scrounging and begging for scraps. At the close of the novel, Shukov thanks God for his day. Alyoshka the Baptist hears his prayer and urges Shukhov to pursue things of the spirit rather than things of the flesh. Shukov follows Alyoshka’s advice in giving him one of his biscuits, spontaneously showing gratitude for the young man. He sleeps with an inner peace considering the day a good day. Thanks for the back link!